Three days ago, I shared a post on Instagram that read this ..
"In 2017 I will be more open speaking about money and my personal financial success with others. I don't quite yet know where to begin on this topic, but I do know that all of my life I was conditioned to believe that having money (or being wealthy) is something that should either be kept quiet, or rarely spoken about - with concerns of offending someone, or coming off as overly proud. I grew up in a middle-class working family and knew very few people personally who were rich or wealthy." Last year, I took it upon myself to completely transform my pre dispositioned beliefs towards money and create space within to welcome abundance and financial security into my immediate life. I had spent too many years focusing on how broke I was. I was constantly low of funds ands felt restricted by my lack of money at all times. I was quickly becoming aware of the stress and burden it can create on a family/relationship/individual. I knew I needed to make a change and start physically living out a life that I had desired for so many years. I didn't know where to begin exactly, but I did know that whatever I had been doing all of these years, was not serving me in ways that felt paralleled to the energy and effort I had been pouring into my work and financial situation. And so it began... I got online and I got educated. Fast. I spent hundreds of hours reading books, listening to audiobooks and studying YouTube University on the topic of "manifesting money" for three months straight. Before I begin this story in full, it feels right to share another quick story with you all. This story that starts with Deepak Chopra's "Seven Spiritual Laws to Success", and ends with in an unexpected financial awakening in my life. I read Seven Spiritual Laws to Success in the early stages of my financial journey after buying it used in a "One Dollar " basket at a yoga studio I loved in New York. 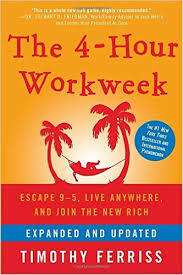 I read this book and it immediately shifted my entire view towards earning, spending, sharing and saving money transformed overnight, literally. I left NY to fly back to Hawaii with intentions of reading the book on the plane but decided to ..... sleep instead. Fast forward to a few weeks when I finally cracked open the Seven Spiritual Laws to Success on Christmas eve night while camping on the beach with friends. We sat on the illuminated sand under the almost-full moonlight and I began to read aloud to the group. It felt like playing a game of OUIJA board. The four of us, hudled in sweatshirts and sandy blankets huddled around the Deepak book. As the girls slowly fell asleep amongst me, I dove deeper and deeper into the book, slowly lowering my voice as I read until it was just me reading the last few chapters to myself while the moon rose in the sky. I finished the book around 2 am and felt overfilled with new information and light. I remember finally falling asleep and dreaming of sailing on a large catamaran boat over the crystal seas in the Caribbean sea and tipping each crew member aboard a large wad of cash for last minute holiday shopping. I owned the large boat in my dream. I'll never forget it. The next day, Christmas morning, we jumped in the ocean to spend the morning free-diving. For the first time in my life, I felt overcome with naeousia and anxiety while out in the water. This feeling came out of no where and I had no idea what I was experiencing. I signaled to the girls that I was going to swim in early and headed straight to shore. When I got there, I walked to the parking lot dripping wet to grab some water from my car. Which I soon discovered had been stolen out of the parking lot. My car with all of our camping gear, christmas gifts, cell phones, wallets, ID, dive gear and jewelry/sunglasses/accessories was no where to be seen. I felt as though I had lost half of my personal belongings in one hour. I immediately felt overwhelmed with the idea (and financial burden) of replacing my car, cell phone, bank cards, ID, eyeglasses, cameras, dive gear, camping gear, jewelry etc. Unable to contact anyone via phone or call the police, I sat down on the hot cement and waited for the girls to finish their dive. I remember sitting down feeling entirely helpless. I knew that this would be a defining moment in my life, as well as the life of my finances. This was going to be one of those "make it or break it" occurrences that I would look back on in a few years. Unfortunately, I wasn't able to recover from the robbery as smoothly as I would have liked. The theft had compromised all of my bank cards and made large purchases on my debit card which completely wiped my account. I remember calling my parents in tears, not because I was upset, but because I felt so embarrassed to have to ask them for money once again. I felt disappointed in myself for not having enough money saved incase something like this ever happened. I had to replace my cell phone, camera, lens, go pro, drivers license, prescription sunglasses and so much more. I lost car keys, house keys, mail box keys and expensive belongings that friends had stored in my car. I was unable to cover the cost of rent and the expenses of replacing these products. I was broke. But fortunately, I was not broken. I had to acknowledge this. So, I got to work. I became completely consumed by spoken affirmations, the law of attraction, an open growth mindset and the cycle of flowing finances. I listened. I learned. I took it upon myself to create multiple streams of income, set up new business endeavors and once-and-for-all release all of the fear, negativity and intimidation I had towards money. I absorbed information quickly. I aspired for a surplus and fluidity of on-going income into my life. Today, I celebrate 6 months of total financial independence. I am not quite yet where I will be someday, but I feel a undoubtable trust within me which ensures I no longer need to worry about money ever again. I am guided. I have enough now. I will always have enough. First things first, I want you to know that everything that is going on in your life at this exact moment, everything that has happened to you (or for you,) in the past and everything that will happen in the future is an intentional learning experience. A gift. A guide. Everything around you is your teacher. You and I are both students in this life, learning at all times. My family is a working, middle class family from Long Island, New York. My mother is an elementary art school teacher and my father, an architect. My parents have always worked. Both of them. Often times over-time, on the weekends, late at night and while we were asleep. They were (and still are) always picking up extra side jobs, summer gigs and bringing work home with them after long 10 hour days at school or in the office. I am one of three girls and my parents divorced when I was only a few years old, so I grew up sharing my time between two households, both run by my full-time working parents who were taking care of us, their own parents/siblings and their careers. I knew about budgeting money, saving money, earning money and worrying about money before many other children my age. We were by no means "poor," but my parents were never comfortable with our financial security (or therefore, lack of.) I knew all about student loans, mortgage payments, overdraft bank accounts, electric bills, water bills and late fees. I also knew that if I wanted to buy something, I had to be the one to earn the money, save it in a shoe box or small coin purse in my bedside table and hand the money to the cashier myself. The older I grew, the easier this (slowly) became. I started working more hours after school and on the weekends, and would put 100% of every pay check I earned into a savings account in town, and then spend any babysitting/car washing/raking leaves cash on the side when I was with friends or at the movies. In my third year of high school, I decided I was going to graduate my senior year a semester early and travel to the Seychelles Islands for 5 months to live and work with a marine conservation project called "Global Visions International." I had never done anything like this before. I would need money for round trip flights to and from Africa, travel insurance, dive gear, backpacking supplies, SCUBA certifications, spending, food and program costs. I sat down with my mother one night and wrote down exactly how much money we thought I would need to be comfortable while traveling and living on my own across the globe. We budgeted that $10,000 USD would be a suitable amount considering many of the certifications I wanted to complete were quite expensive after currency exchange. I wrote letters and application essays to local organizations in my community asking for sponsors. I worked any shift I could at the clothing store, and then some. If there were holidays when time and a half was being paid, I would work. If someone needed a shift covered, I was there. I was one of the only students in my grade who didn't own a car, because I knew that covering car insurance and gasoline costs would simply mean money taken away from my savings each month. I walked from school to work, and I deposited every last paycheck into the bank. By the time my trip had finally (almost) arrived, and airfare and accommodations needed to be booked, I had almost $13,000 saved in my account. Boy did that feel good. Really really good. Of course, I spent every last penny while traveling. Aaand then some... of my parent's money who wired me a few hundreds dollars after I emailed them from a dumpy internet cafe begging to complete a rescue SCUBA course that would require another $400 from me on the last leg of my trip. I came home from the trip broker than I had been in years, but so fulfilled by my time spent abroad. Although my travels were over and my surplus of savings had been long gone, I couldn't shake the feeling of pride I felt when I had that 13k saved just a few months ago. Paying for airfare, travel expenses, my own food, accommodations and souveniors felt amazing. And liberating. It also felt so intimate and personal, knowing that I did not have to involve my parents (or their used and abused wallets any longer.) I had experienced what I perceived as "wealth," and was determined to find my way back to it. Flash forward a few months and I was (still) broke, in debt and living from paycheck to paycheck while attending college in Hawaii. My parents would send me $100 every two weeks for groceries and I would count down the moments before it arrived in my bank account electronically. I would spend as little as humanly possible on food and try to cover all other expenses I had with the remaining money (often times $10-25 a week) I was completely reliant on my parents for support with rent, college text books costs, student program fees and food. I was working towards paying off last semester's tuition while struggling to avoid data usage fees on my cell phone bill each month. I was in school and nannying for a local family full-time. I missed the Seychelles. I missed my freedom. I had no car and would bike miles each day to get to and from work, only to have to take the public bus in Honolulu when rainfall was too heavy or my legs were too sore to bike another mile. I was unhappy with college and frustrated working in child care once again. I didn't realize it at the time, but I know see that I was living in a state of lack. I told myself (and others) that things weren't always working out in my favor, and so they continued to do exactly that... no work out in my favor. I was broke and I made sure everyone around me knew it. Consumed by this financial rut, I saw no light at the end of the tunnel. Fortunately, I found that light once again. And when I did, it was brighter than ever before. I finally welcomed personal and financial wealth, health, positivity and an abundance mindset into my realm of existance. The easiest way I can explain this, is to answer it. 1. "WHAT IS YOUR MAIN SOURCE OF INCOME?" I have been taught that one of the most influential tasks you can accomplish when it comes to your finances it ensuring that you have multiple streams of income at all times in your life. Wether that be 2 jobs, or 20, and wether those streams of income are small or large. Currently, I have 7 - 8 steady steams of income in my life. Because many of you asked about my largest source of income, I will tell you first that the most significant source of income I earn is from private health and nutrition consultations which I offer from my home and computer (skype/email etc.) I studied at the Institute for Integrative Nutrition (IIN) while attending UH Manoa and then decided to dis-enroll from my junior year of college to pursue my certifications from IIN. I immediately began working from my home and offering private sessions with clients from all health backgrounds, who are interested in learning more about alternative medicine and holistic health. I still bring on new clients each week and am so fortunate to carry out work that I love love love. You can learn more about my health coaching here. Aside from my nutrition work, I share Kangen machines (the best medical grade water ionizers in the world) as a distributor for the Kangen Company, Enagic. Although I have just started working as a distributor for the company a few months ago, it is quickly becoming my largest source of monthly income (which I am oh so eternally grateful for,) so I have established so much intention within this company over the past 6 months. I also earn money working for a local organic juice bar here in Hanalei and run social media accounts for their small business. Income stream #4,5,6 and 7 are all part of work I do online and from my laptop computer at home. 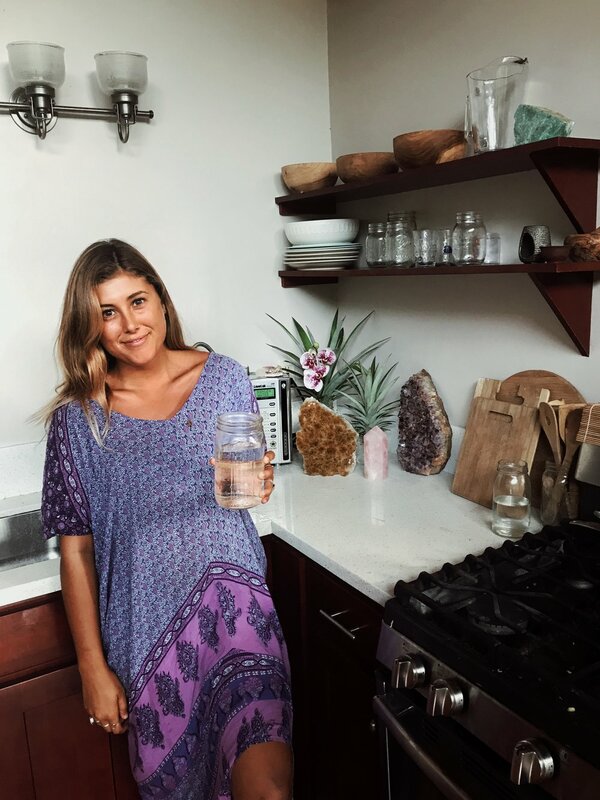 I am a paid influencer for Hydroflask (the best insulated water bottles in ze world,) as well as a student ambassador for the Institute for Integrative Nutrition, the online school from which I studied holistic health and alternative medicine. I help students (and many former private clients!) who are interested in the school learn more about the curriculum and enrollment process at IIN. I also am affiliated with SunFood superfood products and have done paid collaborations with fellow health/wellness/sustainability websites and blogs online in the past. Phew. Sometimes the pay is incredible and well worth my while, other times is it not. I take time to investigate and thoroughly review companies before agreeing to offer them my time and personal influence, and only work with companies that align with my personal and professional morals - but am by no means a proficient business woman... just yet. I learn through my business mistakes each and every year. For many years of my life, I had only one source of income and felt stagnant and "stuck" with my earning situation. I was stranded on a plateau with my monthly/yearly earnings. Although having multiple "jobs" under my belt is something that is relatively new to me, it has quickly become crucial in my elixir to success. Sharing Kangen machines from the comfort of my car after a long day at the beach in Hawai'i. Still wearing a salty bikini while I attract more income in one day than what I would have made in two week's time just a few months ago. 2. "WHAT IS YOUR DEFINITION OF SUCCESS?" - Carrying out work that is fulfilling and exciting. Waking up each morning feeling eager to dive in head start and grateful for the opportunities that I have welcomed into my life through my work space. - Being healthy and happy. That's essential, of course. Living a low stress lifestyle that allows me to take care of myself, while I contribute towards taking care of others. - Being inspirational and influential. Encouraging others to live a life that is pure and advantageous for themselves and the land around them. - Changing the world. Leaving a divine destiny, rather than a footprint behind. - Earning enough money to support family, friends and strangers. Relieving any and all financial stress for myself and for those I love. Always earning enough to be generous and charitable. - Affording to travel when I want, where I want. Experiencing other cultures in far away places (that require long distance plane rides) Seeing the world around me without having to look down at text message alerts from my bank. Always being able to welcome friends and family along with me on my journey. Being the "rich friend who pays for everyone, " if you will. 3. "HOW DID YOU TRANSFORM YOUR INCOME AND FINANCES?" 1. First, I released ALL negative beliefs I had towards money. Everything I had ever thought, heard and assumed about people who were wealthy, privileged, well off, filthy rich, loaded, or rolling in the dough. I thought about everything horrible I had ever said about a rich person and I relinquished it. "Rich people are greedy or selfish, " "You can't be rich and spiritually enlightened," "People will make assumptions about me and the type of person I am if I become wealthy" etc. etc. If I was going to become one of these people, I had to first think highly of them - or at least think non-subjectively towards them - and essentially, think the same towards myself. If I wanted to have what they had, I knew I had to appreciate it before I could create space to welcome it with open arms into my life. 2. I cleared my schedule for an afternoon (or 9 hours) and sat down to make a list. A specific, detailed list of everything I was going to manifest into my life. Everything I wanted, no limitations, no judgements and no hesitations. I was living in a very mediocre (it had carpeted floors from the 90s, to say the least) apartment on O'ahu and quickly discovered that I could fill up a page (or two) in just a few moments. - A quiet, bright, clean and spacious home for myself on Kauai within the next 6 months. I needed to be off of O'ahu. I would live in the jungle, or near the mountains and be within walking distance to the ocean. I would have a comfortable, clear bedroom and lather in lots of natural light in my home. I would have wooden floors, a garden in my backyard and space to finally compost my food scraps (which I was unable to do while living in a condo.) I would take pride in welcoming others over and would enjoy retreating to my home at the end the day. - A Kangen water machine for myself. I had been researching water ionizers and alkalizers for months on end before I started drinking Kangen water from a friend's machine. Just three weeks of drinking a gallon of Kangen water per day and I was absolutely hooked. I knew my immediate and lasting health was dependent on this water. I knew I was not treating my body to the best without it. I kept reassuring to myself that "I could not afford a machine at this time." I said it, spoke it, believed it, and so it was. - More health coaching clients. I wanted to double my clientele within the next 6 months and guarantee that I was working with as many people as possible. More clients meant more business, which meant more attention to my online and in-home business. - Increase traffic to my website and blog. I had been tracking the analytics of my website for months now and was ready to see a substantial increase in my audience size. I knew the message I was sharing with this world was a meaninful one. I had worked far too hard for my content to only be recieved by a few dozen individuals. - Massages. And sacred spa treatments. I wanted massages in my life and I wanted them immediately. I convinced myself that paying for these kinds of treatments was a luxury, so I rarely ever booked them (unless I was in Bali.) My body was desperate for some T.L.C. Body work, massages, chiropractor sessions, cranial massages and hydro colonic therapy. I needed to be able to afford all that was healthful and healing for me. I deserbed it. As do you. - A Tahiti trip. I had never been and was desperate to get some diving in. Tahiti was next on my travel list. - A minimum of $500,000 annual income. I wanted to make enough to support myself, my family and whoever else came into my life. This money would support my happiness by allowing me to travel, work from home, spend time reading, painting, working on my photography, cooking, diving, being charitable, able to spend as much as I desired at health-food stores/holistic centers, help any friends in need out, donate to animal activist organizations, see the world, teach yoga lessons for free, eat all of the vegan food and drink all of the Kangen water. $500,00 felt like a really good place for me to start. 3. I took the list that I had just wrote, and I re-wrote it. Rather than writing down a list of things I wanted, I transformed my dialogue to create a list of things that I was grateful for already having in my life. By doing this, not only was I convincing myself that I already had everything I could ever need, but I also convincing the energy around me to align with the universe. If you've read anythign about the Law of Attraction (READ BLOG HERE) you know that the universe is working around the clock to bring exactly what we desire into our lives. Wether this is something we deem "good" or "bad," and regardless of if we realize we are manifesting it into existence or not. If we can convince ourselves that we already have everything we want and need, and focus all of our intentions on that one thing, that infinite amount of universal energy flows where our attention goes... and voila! Our thoughts have become our things. We have everything we could ever need. "I am grateful for my gorgeous home on Kauai that I feel so comfortable, at peace, secure and relaxed in." "I am so appreciative for my successful career. I wake up thankful that I run my own business from the comfort of my home each morning." "Today I am happy to be alive and in good health and positive spirits. I have faith in my body and trust in its ability to protect me and keep me well always." "I am fortunate for having enough money to afford all that I desire. Each day, money flows freely into my life." 4. I took that list and I made copies. I hung one up on my bedroom wall, one on the bathroom mirror, folded one up to keep in my wallet and another to tape to the dashboard to my car. I saw the note often and trained myself to read it (out-loud or in my head) whenever I caught myself looking at it. Repetition is a powerful form of change. The more I spoke it, the more I believed it, the quicker I brought it into existence. 5. I reminded myself that I am worthy. I am worthy of everything and anything that anyone else has ever achieved or accomplished in their life. I am worthy of all of the things I have always wanted and desired, but never truly believed I would have. I am worthy of living out my truth and creating a divine destiny for myself, even if I wasn't entirely sure of exactly how that ideal reality would play out. I made efforts to fall in-love with myself, and found that the more time I spent personally developing and growing, the quicker my self confidence levels flourished. It sounds dissociated, but if I was becoming "better" at one specific task in my life, I was becoming better over-all. I knew I needed to become the best possible version of myself if I was going to effectively attract abundance into my life. I meditated, spoke aloud positive affirmations daily and maintained a healthy/alkalized diet and lifestyle consistently. 6. I bought myself a Kangen Water Machine - However, The machine was entirely out of my budget at the time I purchased it. Let me be clear, my "budget" was basically non existant at the time, actually. I screen-shotted photos of the exact machine I wanted and made it the back ground on my laptop computer. I stared at it every day while researching machines (and frowned when drinking my terrible tasting Brita water,) and then knew it was time. I was going to get a machine and then make sure my parents and sisters had their own machines as well. (Because sometimes you gotta help yourself before you can help others, yeah?) I had to scrape pennies from all three of my bank accounts into one to have just enough money on a debit card to pay the $500 down payment for a payment plan on the machine. But it didn't matter. It felt so right. For me, making this large purchase confirmed that I was worth investing in. I was worthy. It was a powerful sign to the universe that I felt confident with the future of my success. I bought the machine and agreed to pay it off via monthly payments for the next year (What I didn't know at this time was that in just a few short months, I would be sending the Kangen company the remainder of the money I owed early, because I was now in a position where I could pay it off entirely.) I had faith in my intuition and I had faith in the fact that I was guided by the universe (or, a higher power) at all times. Each day, I looked back to Deepak's words and I reminded myself that money comes and goes in and out of my life fluidly. Next, I wrote myself a check for $500,000. A real check, written out to cash with my own name and my own bank account numbers. I filled it out legibly, signed it and put it in my wallet. I carried that check around with me everywhere until it deteriorated into shreds and then I wrote another one. A vision board I made from recycled magazine clippings 1 1/2 years ago. Included in this vision board is my check for $500,000 as well as an image of the Na Pali coastline of Kauai from a travel magazine. My dream location. I now live 3 miles away from the Na Pali coast and walk/hike/explore the coastline by boat frequently. Each time, I remind myself how fortunate I am to have attracted such a sacred environment into my reality. I hung this vision board on the ceiling directly above my bed, so that when I woke up each morning, this sign was the first thing that came into my visual consciousness. 7. I held myself accountable. I wasn't just going to spend all of this time setting intentions and making goals for myself if there was no physical work involved. I knew that no one else was as determined to transform my financial situation as I was. So, I became my own coach. I took three blank calendars (make your own on scrap paper, or print them out from Google) for the 3 months that lay ahead and I set specific dead-lines for myself. I had no idea exactly how much time I would need, but I knew I had to start somewhere. I wanted more health coaching clients - so I wrote down exactly how many clients I wanted to be working with each week. I wrote down specific days that would serve as a time marker for me. By this date, I would have begun coaching with x amount of new private clients. I wanted to increase my finances - so I wrote down exactly how much money I would have in my saving's account by a specific day. I wasn't sure how I was going to get the money, or where it would be coming from, but I knew it was coming. Remember, I had already released any fear or negativity I had towards money, so I was faithful and confident that it would find ways to steep into my life. I wanted to share more Kangen water and Kangen machines with friends and family around the world - So I wrote down exactly how many families/households I would be bringing free gallons of water to each week. I choose the last day of each month as deadline for myself and wrote down the # of Kangen machines I would have sold by that day. I wanted more traffic on my website - So I wrote down exactly how many new blog posts, recipe posts and guest blog posts I would upload on the website each month. I also wrote down specific numbers of viewers and audience size. I basically took the number of people who were already viewing my website on a daily basis and I tripled it and gave myself 6 weeks to get there. I wanted to travel more - So I made myself a year long (12 month) accountability calendar and wrote down exactly where I wanted to travel in each specific upcoming month. New York here, Tahiti a few months later and possible a quick Costa Rica trip thrown in in-between. I wanted to increase my physical fitness - So I included a strict schedule on the calendar of how and when I would exercise. On M, W, Thur I would run. Anywhere from 3-9 miles. (I would write specific mileage down for each day.) On T, Friday, Saturday I would practice yoga or complete home workout videos - which would also be documented on the calendar. Some days I would just do legs up a wall for 10 minutes, 50 squats and 50 pushups. Other days I would rest and recover. I am no personal trainer, trust me on that one. I just knew that the more I exercised, the more I would want to exercise and the easier it would become for me. I wanted to be able to cover expenses for my family members and friends - So I became as (financially) generous as I could. I thought about everything I would do when I "had enough money" and I told myself to just start doing it right now. This very moment. When the written checks, pay deposits and cash incentives began to flow into my life (which they did) I would be quick to tuck what money was necessary for my immediate costs (rent, car insurance bills etc.) and then give away the rest. To my sisters, my best friend or anyone who I felt might need a little extra money this month. I had become fluid with money and spending. All thanks to my man, Deepak. I gave money freely, knowing that I was only putting money out for it to later be re-cycled and returned back into my life. As more money flowed in, I made sure more money flowed out. If I felt like donating to my favorite charity or local humane society, I did it. Felt like surprising my sister and her girlfriend with a little extra weekend spending money in her venmo account? I did it. Felt like helping my over-worked/under-payed roommate repair her laptop computer? I did it. Felt like flying my best friend over for the weekend to spend time with me? I did it. Even if it meant that I wasn't entirely sure I should or could "afford" to. I didn't doubt, over think or hesitate in these situations. I released possessiveness and any feelings of "ownership" over "my" money and I began to seek out new and meaningful ways to share it. I immediately felt (and essentially, acted) rich. And because of this, I quickly became "richer" too. 3. "WHAT RESOURCES DO YOU RECCOMEND?" I reccomend these resources, in this specific order. These books/audios/websites completely changed my life and clearly guided me to exactly where I am today. DEEPAK CHOPRA'S "SEVEN SPIRITUAL LAWS OF SUCCESS"
ESTHER AND JERRY HICK'S "MONEY AND THE LAW OF ATTRACTION"
Then... Watch these videos while you wait for your books to arrive in the mail! HERE ARE MORE RESOURCES FOR THOSE FEELING INSPIRED AND INTERESTED. "Hi Amelia! You’ve really inspired me. I’ve read your blog posts about acquiring money the healthiest way for ourselves. Mind, body, and soul. You’ve helped change my perspective. I’ve grown up homeless, my father always missing, and with my mom who raised 6 kids on three jobs alone. I was scarred by money and it became my biggest fear. You’ve really helped me overcome that fear, and I thought I’d tell you that. Because of your constant inspiration, I’ve went from $9.00/ 15 hrs a week to three streams of income, including starting my own business. I also aim to enroll myself into IIN this July! So thank you so much for your help and the love you share with all of us. 💗💗💗 Continue shining! Wow! What a blog post. I cannot put into words how powerful and inspiring this page was for me. I've been meaning to message you for weeks. For my entire life, I have told myself that I was born and raised in a middle class, working family and that is where I would most likely remain for the rest of my life. I projected jealously and anger onto friends and co-workers who were earning more money than I was and constantly shut myself off to new opportunities because I was "too broke." "Too broke." That is what I told myself over and over for years and years. And too broke was exactly what I was. Reading your blog changed all of this for me. I read this blog post when you first published it and immediately scraped together bits and pieces of scattered funds from various bank accounts to begin sharing my one of a kind art prints at the local craft market in town and earned $300 my first market. Since welcoming this new stream of money into my life, I've noticed so many more continue to incorporate their way into my life and carve their path. I received a mysterious rebate check in the mail for $200 last week and won a $500 gift card online from a contest I had entered at a nail salon two weeks ago! Money truly IS abundant in my life. I was afraid to admit this for so long. Now I see. Thank you Amelia. Thank you so much. - Heather R. "
"The best blog post I've ever had the pleasure of stumbling upon. Your words appeared on my computer screen in the PERFECT time. I wrote down every tip and suggestion you shared and sat down my 11 and 14 year old daughters to look over them with me and learn to adopt this mindset/lifestyle themselves. I am a single mother and the sole provider for this family. I know your blog post will have a POWERFUL IMPACT on our finances this year. We are so lucky to have access to this type of information on social media! Thank your for sharing your light on this subject. Excited for this journey for myself and my girls! - Alana Y."